The people who go through Reyna Montoya's workshops are as young as 7 years old and all have one thing in common: someone in their family was deported or is in deportation proceedings. They have a tough time coping with anxiety and uncertainty, but Montoya, 26, has found a way to help them process those feelings. Through a community organization she founded called Aliento, she teaches participants to use art as a form of healing. Her efforts are focused on youth and children impacted by immigration policies. “We believe that we need to not only be advocating to change our current immigration system, but also have a space where children and youth can process the traumatic experiences of family separation and deportation,” Montoya said. At her workshops, which are also open to adults, she asks participants to use art as a way to express their feelings. The art forms she uses range from drawing and painting to writing poems and hosting open mic nights. Participants also learn how they can engage politically and be leaders in their communities. In addition to the art workshops, Montoya provides leadership development training as well as organizing and engagement. She uses the skills she has learned as a community organizer to encourage youth to become agents of change in their communities. With the help of a Soros Justice Fellowship, Montoya founded Aliento in 2016. She recently became an Echoing Green Fellow as well for her work with Aliento. Her motivation for Aliento stemmed from stories she heard through community organizing and from her students when she was a high school teacher. Her greatest inspiration, however, came from her own experience of family separation. A professional dancer, Montoya used dance as a way to cope when her father was detained in Puerto Rico a few years ago and placed in deportation proceedings. “Through dance, I felt connected to him because I couldn’t see him,” Montoya said, adding that her interaction with her dad was limited to 15-minute phone calls, which she mostly spent talking about ways to get him released. She choreographed several dance pieces to express her emotions at the time. After nine months in detention, she was able to get her father released. Like her father, Montoya is undocumented. She was born in Mexico and came to the U.S. with her family fleeing violence when she was 13 years old. She has temporary protection from deportation through the Deferred Action for Childhood Arrivals program (DACA) that the Trump administration is ending. 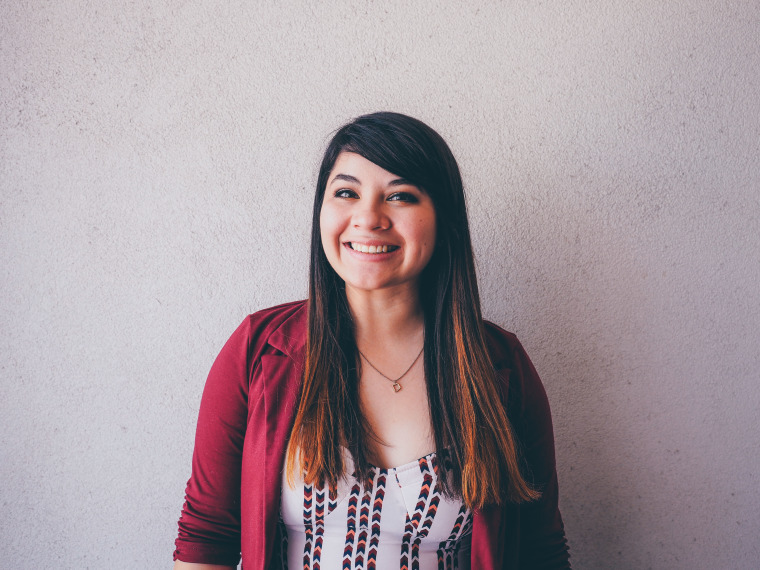 Montoya believes her role is to be innovative and strategize with the young people who are most impacted by immigration policies. What do you like best about being a Latina? Being bilingual and being able to understand and navigate both cultures. What was your favorite Latino guilty pleasure growing up? I loved watching lucha libre with my tío. I just remember spending Sunday mornings with him watching that, and also watching Dragon Ball Z. If you could have cafecito with anyone you wanted, who would that be? I would have cafecito with my nana who passed away in 2006. We would always have cafecito growing up; that’s one of the reasons why I really fell in love with coffee. She would tell me everything from the time her house burned down and how she lost all her documents to just crazy stories about how men she would date were rude to her so she would leave them.